Don t let its compact stature fool you. Like its larger D-Series siblings, the 35D is exceptionally durable. 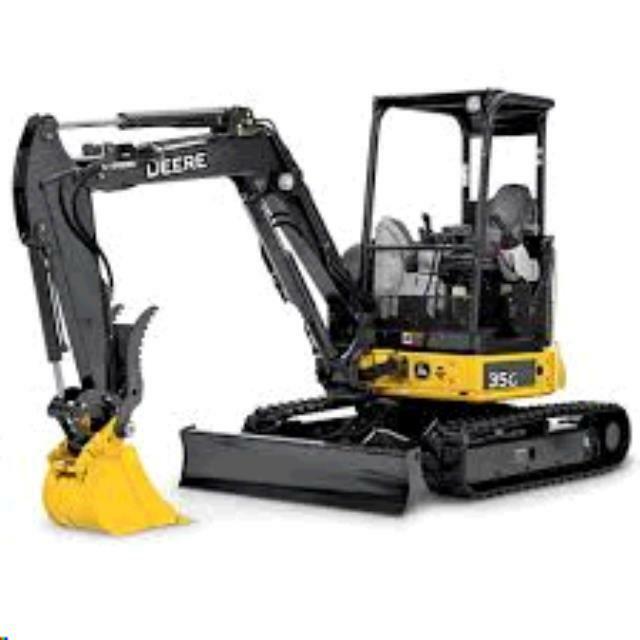 And for good reason it shares many of the same uptime-boosting features such as powdered-metal oil-impregnated boom, arm, and bucket bushings. Max. Digging Depth 10' 0"
Max. Digging Reach 17' 1"
Max. Dump Height 11' 5"
Min. Front Swing Radius 6' 9.5"
Tail Swing Radius 2' 10.3"
Blade Width ft (mm) 5' 8.5"
Blade Height in. (mm) 14.6"
Blade Max Lift Above Grd. Level 14.6"
Blade Max Lift Below Grd. Level 15.4"
Track Length on ground 5' 5"
#Cylinders and Displacement 3 - 100.2 cu. in. 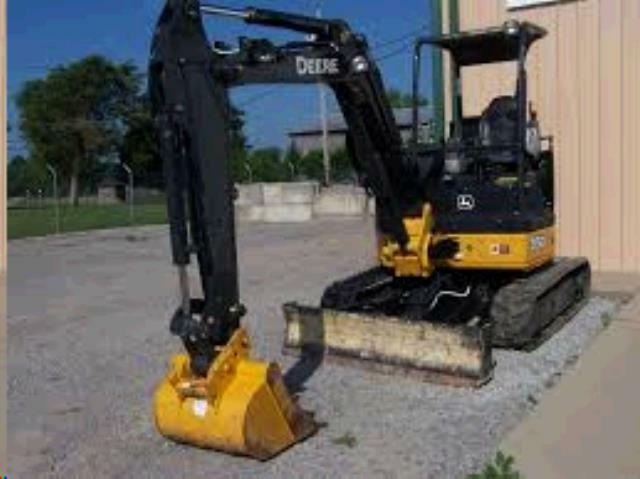 * Please call us for any questions on our john deere 35d mini excavator rentals in Toledo OH and Perrysburg OH, serving the Toledo metro area.